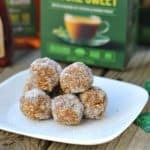 This is a sponsored post written by me on behalf of Whole Earth Sweetener Co.. All opinions are 100% mine. Do you love Savannah Smiles Girl Scout Cookies? 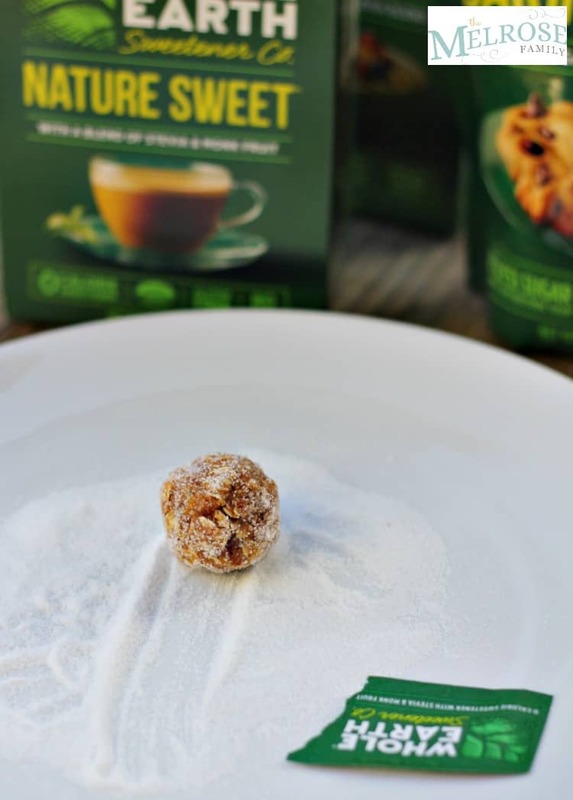 Now you don’t have to feel guilty about eating them with this energy ball recipe for a healthier version of the well-loved cookie. These Savannah Smiles don’t have the butter or sugar that the cookies require so you can feel good about eating them! This is our first year with a Girl Scout in the house and let me just tell you that when you’re selling the cookies, you end up with a lot more than you expected. We seriously have so many boxes of cookies in my house. It’s just not good! Especially since spring is just around the corner here in the south. 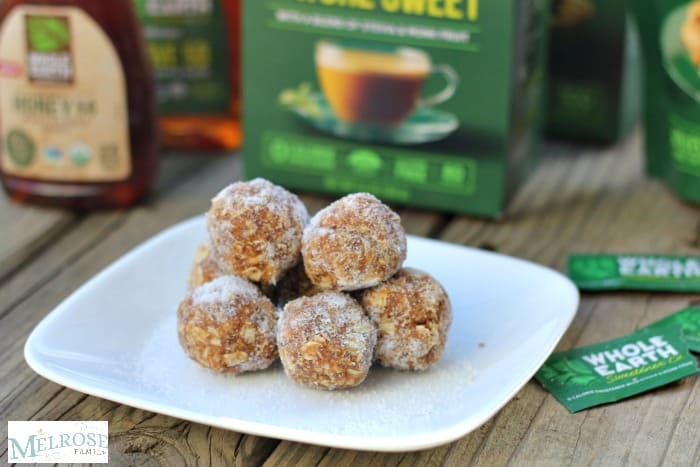 In order to avoid the Savannah Smiles sitting in my pantry, I created Savannah Smiles Energy Balls, which have the same great lemon taste and are dusted with a little bit of sweetness. Whole Earth Sweetener Nature Sweet® packets were the perfect light dusting of sweetness that these lemon energy balls needed. The best part is that the Whole Earth Sweeteners are made from ingredients sourced from nature and are zero calorie sweeteners. You find Whole Earth Sweetener products at select Walmart Supercenters, Target stores and other grocery stores nationwide. These Savannah Smiles Energy Balls are the perfect midafternoon healthy snack to keep me out of the pantry and on the right track with eating right. Plus, my girls love them because they taste just like the cookies. We often pack them up in tupperware and take them with us as a healthy snack while at the park or out hiking. Do you love Savannah Smiles Girl Scout Cookies? Now you don't have to feel guilty about eating them with this energy ball recipe. Combine oats, almond butter, Whole Earth Sweetener Honey 50, zest and juice of one lemon in a large bowl. 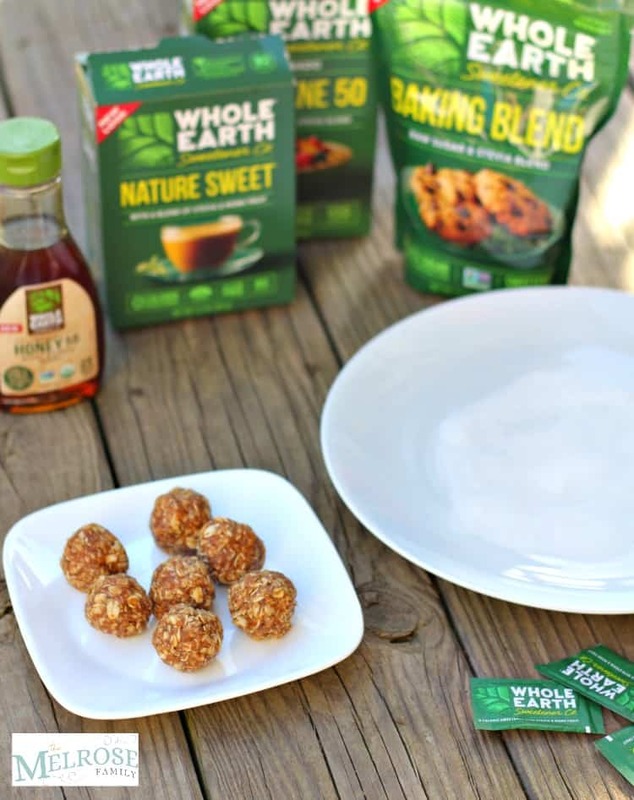 Pour 10 Whole Earth Sweetener Nature Sweet® packets onto a plate. Form small balls and roll them in the Nature Sweet on the plate. This post is mind blowing. This is quite informative.